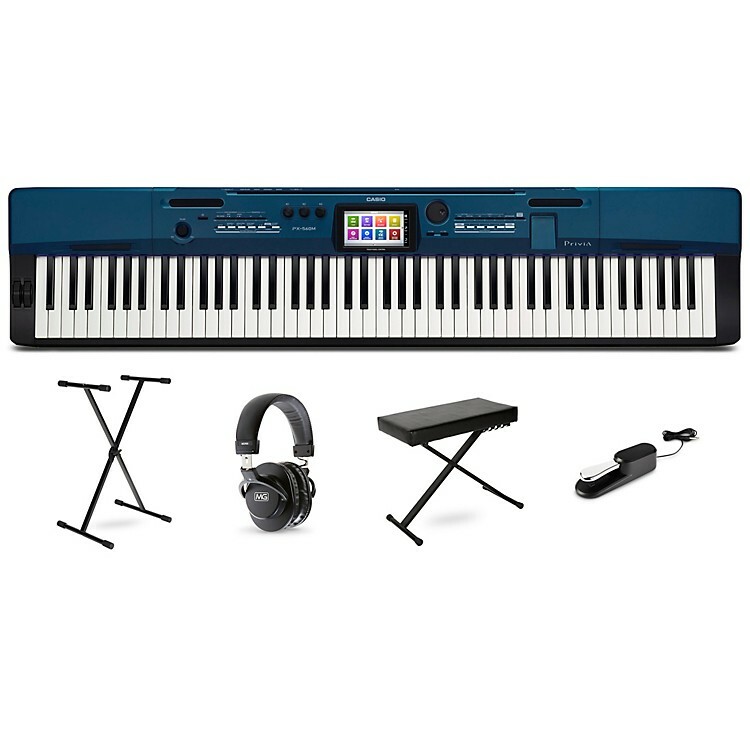 This complete keyboard kit features the Casio PX-560, a portable 88-key digital piano. It also includes a stand, sustain pedal and a keyboard bench. The ProLine PL100 Keyboard Stand is the perfect complement for your Casio keyboard. Easily adjusts to six different heights for greater playing comfort. Rugged and sturdy X-bracing, skids hold the keyboard securely and make a good grip on a hard floor.